I am available for 1-on-1 project. "Felix was amazing, not only was he one of the first designers to submit proposals, he kept sending more. Had my cards the way i wanted them in lesss than 3hrs. Felix went above and beyond to make me a happy customer, anything new i need design wise i wi..."
"FelixSH is fantastic. I've used him twice now, and will definitely use him again. Fast responses and great work!!! Thank you!" "Felix is always quick to respond and does excellent work!!" "Great working with Felix. He did the job as asked. " "Fast, good designs, very responsive." "Felix completed our business cards in under an hour (which is amazing) and did a fantastic job! Highly recommended!" "great to work with! quick and friendly "
"Top designer. Very fast handling and knows perfectly what customer wants"
"I loved that Felix was willing to making even the tiniest, pickiest adjustments to what was always a great design." "Did a great job, very fast. " "Felix was awesome. I had mutiple changes and they were always happy to make them. Very qucik to respond to messages and requests." "Felix SH was my favorite right from the beginning. I already liked him best, but even so, I asked for many slight adjustments and additions, and his changes were always lightning fast. I couldn't be happier with the end product." "Very easy to work with -- quick, professional, patient, and with a great eye for design." "I've used Felix 4 or 5 times now. He is quick, amenable and reliable. Happy to recommend to anyone." "It was a great experience. He works just like others commented. He has speed and definitely knows his job perfectly. Highly recommended." "Felix provided the highest of quality in design! He was so good at getting back to my feedback and changing the design for the better! He is a very creative person and am looking forward to working with him in the future!" "Great designer! I would definitely work with Felix SH again. Fantastic eye for design, fast and professional communication, and very patient with revision requests. Felix went above and beyond -- highly recommended." "Great design, exceeded my expectations. " "Design matched our company's expectations and the designer was easy to deal with. " "Excellent design proposals! Quick response in a timely manner! Very friendly! And a good sense for a customer interaction! Barbara"
"Went well, really enjoyed working with you!" "Thx - Great Design and Fast! " "Snel ontwerp , top service." "I have worked with Felix SH on a number of jobs. Not only does he have an excellent design aesthetic, but he is quick and a very good communicator. Highly recommended. " "Felix followed directions perfectly and was the poll winner from about 20 graphic designers and 155 designs from around the world. Attentive to detail, excellent written English and responded to all requests quickly! Highly recommended!" "Great to work with, fast to action." "A pleasure to work with. " "Great designer to work with, listens to directions, and makes edits quickly! " "Great work once again. Very quick to make changes and he understood exactly what I was looking for." "Fast turn around and top-level design work far beyond what was requested. " "Great work Felix. Thank you so much!" "Felix is fast, detailed and great to work with! " "Awesome job. Easy to work with. Very happy to recommend. A+"
"Felix SH was great to work with! Made numerous changes quickly and efficiently. I would hire him again in a heartbeat. " "Great design. Very accommodating multiple with small changes. Highly recommended. A+"
"Another great job. Very quick same day turnaround and high quality work. " "Great work and very quick!" "Great design and Great to work with. Fast responses and overall a great communicator. " "Very happy with the work done time and time again. Fast replies and updates. Will continue to work with." "Great and very fast designer. Will continue to work with. " "Great Designer, Will work with again"
"Very responsive and receptive to feedback. Extremely happy with end result!" "Felix SH provided superior quality work and extremely quick response time when asked questions or for updates and changes. Very creative and cutting edge designs! Love the work!" "Very quick work and high quality. He made the changes I asked for quickly. Highly recommend Felix SH!" "Felix was very responsive and flexible in providing the design in various formats!" "Fantastic all around - Great speed, Great designer. Will do business with again!" "It was a pleasure working with Felix SH on my business card design. Very talented and willing to please. I would most definitely work with Felix SH again in the future!" "FelixSH was extremely professional and very responsive. Took suggestions well and iterated to achieve a strong final design. Highly recommend!" "What a great and patient designer Felix SH is. Will definitely higher Felix SH again." "Very helpful designer, responsive, energetic and amending your tiny feedback very accurately." "quick update to our new address"
"Felix SH worked very hard to create a cutting edge design for C-Suite Social Media's business card. He came up with multiple variations and offered me lots to pick from. His turnaround was equally impressive. " "Very Responsive and great creative eye"
"Felix is a very creative & highly experienced designer. He is a pleasure to work with and will accommodate to your every need. I look forward to collaborating with Felix on other projects!" "This is our second time working with this designer and again we're very happy with the quick replies and understanding of what we want. " "We are very happy with your ideas and the final design you came up with. we are already working on a different project with your help. Quick to reply and helpful with needed adjustments. " "Great design. Felix was very detail oriented and very willing to make alterations to the design. The process was very pleasant and I would highly recommend this designer." "Felix, did a greta job with our Card. He probably was the most creative and innovative of all the entries we received. He was also very professional and prompt in his communication. Highly recommended. " "I am very pleased with the business card Felix SH created. The design was creative yet clean and well balanced. Very good Job!" "Very happy with the design. Felix SH was extremely prompt with changes and on the mark with respect to the original brief. Definitely "
"Great work and clean designs!" "Felix SH did an incredible job...he was responsive, efficient and professional. I would certainly utilize his services again! Thank you Felix SH." "My experience working with Felix was great. He is very quick and responsive. He is flexible to ideas suggested to him. I will definitely go back to him with more projects. Thank you for a great design!" "Felix SH did a fantastic job with the initial design & was incredibly willing and responsive when it came to making adjustments to the design. Even in the final stages he went out of his way to ensure that we had all of the proper files & that we were t..."
"a was very good work with hem very professional thank you very much Felix"
"Hello Felix, We would like to say a big thanks for your designs, prompt response and professionalism throughout this process. It was a great experience working with you and look forward to our next projects together in the near future. Thanks Feli..."
"Felix is everything you'd want in a graphic designer, he's creative, a good communicator, takes criticism well, a problem-solver and he's patient. I give him my highest rating!" "Felix SH did a great job with the initial concepts as well as making revisions to our specifications. He is quick to reply and make changes, and we would definitely recommend him to anyone looking for professional service!" "Amazing job and effort by the designer." "My job was for a business card design and compliment slip. I worked with Felix SH for about a week perfecting the design and they couldn't have been more responsive and easy to work with. They came up with a great concept and implemented all the chang..."
"Felix SH did a great job for us and was very responsive. Thanks, Felix!" "This was my first experience with 99designs and it was fantastic! Our contest was for a business card with a branding refresh for the company. Many great designs were submitted but the designs proposed by Felix SH really stood out. Felix SH was very res..."
"Great Work! Nice designs and very fast to respond!! Will work with again "
"Great designer, good communication, files delivered in requested format, and went the extra mile to create the versions we needed for each member of the team. Highly recommended!" "FelixSH was GREAT to work with. He was incredibly responsive to our update requests and fast. His designs were original and he clearly understood our objectives. We will definitely work with FelixSH again for other design projects and highly recommend h..."
"Felix was, again, fantastic! We asked for business cards and right at the beginning, he provided multiple design possibilities. He listened to our feedback and made changes quickly. He was, again, polite all throughout the process. 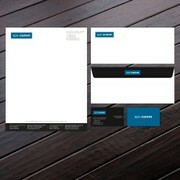 This was our seco..."
"Felix designed our letterhead for us. He was usually quick to respond to our changes and patient with us and our requests. He was always polite. We had a wonderful experience with Felix on this project and would recommend him!" "Felix SH is talented, creative and a pleasure to work with. It was so easy"
"Design provided by Felix met our brief and objective. His response was also extremely prompt which helped us close our work well within the timelines." "Felix SH is an excellent designer. He designed an awesome business card for us and as a follow up project, we had him create our Powerpoint presentation template. He did a great job and executed it in a very short time table. Thanks!" "Very responsive when asking to make changes to the design. After awarding Felix SH as the winner of my contest I received the files that I needed within 30 minutes. Wonderful to do business with!" "Very creative. Great to work with. Effective Communicator and Efficient. We have a great experience and will work with him again." "I was in a super tight dead line after another freelancer had not submitted a print ready file. I had to post another contest to which i got a ton of entries but Felix SH really went above and beyond. He went back and forth and did not matter how many..."
"Felix was thorough and quick with a clean and professional design. Iterations went very well, and we nailed the design we were hoping for. I would definitely work with Felix again." 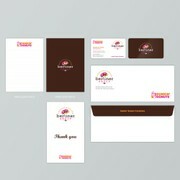 "My contest was for a business card design utilizing existing company logo. I had narrowed the contest to 4 finalists and when comparing designs side by side it was clear the Felix SH design was the winner. Very happy with the work and response time to..."
"Very pleased with Felix. Amazing response and creative always. Highly recommend one on one. " "Very professional and quick response to my request. Stylish design!" "Felix SH designed a business card for my company. He did a great job - it was very simple, yet interesting and elegant. He is very creative. And he was excellent to work with. He responed to all of my requests in a very pleasant manner! I would definite..."
"Worked quickly and efficiently "
"Fast, easy to work with. No change went undone." "Hands down one of the top 3 designers ever. Amazing job! Keep up the good work?" "FELIX is a ROCKSTAR! He was the first to respond to my design project - within moments of me posting it! He always replied extremely quickly to my feedback with updates to the design and followed the brief as it was presented. He's very polite, willing ..."
"he is like a machine...great communication....patient...quick...intelligent "
"Felix was responsive to feedback and very fast in making changes. A great experience working with him." "Great designer. So easy to work with. I loved him so much the first time I used him that he is now my go-to guy. 2 projects and counting. " "Felix SH did an excellent job, submitted a variety of designs and was very easy to work with. Turn around time for revisions were quick and done right. I highly recommend Felix SH for any job." "I had a great experience working with Felix SH. All requests and questions were addressed extremely fast. I would highly recommend his services to others. " "Fast work! Very good communication. " 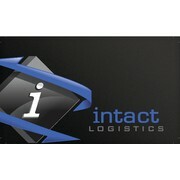 "Did a great job with our company business card. Very quick and easy process. Nice job!" 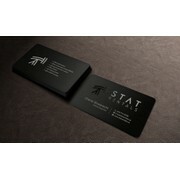 "Felix did a great job with my business card design right from the beginning. He put in several designs and because of how good they were they were immediately copied. Thanks again, FelixSH!" "Great designer!! Very quick at making changes per my requests. Great communication. 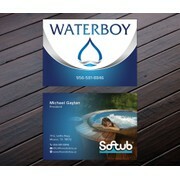 I am very proud of the business cards he developed for me." "Felix has been great to work with and very responsive. I will use him on all of my projects in the future." "A very creative and a cooperative designer.. thank you"
"Great finished result with a very quick turn-around. Will definitely invite Felix to enter any work in the future! 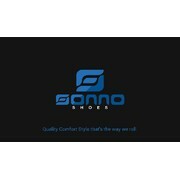 Thank you"
"Great design and quick delivery of files. " "Felix came up with the seed of a great logo early on, and was extremely responsive and open to edits and changes as we worked to improve it. The end result was exactly what I was hoping for when I started off the competition. Felix is highly recommended..."
"Great designer, easy to work with and able to implement feedback correctly. 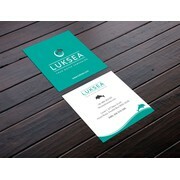 Thank you very much"
"Felix did an excellent job on our business cards and letterhead. Top-notch service and responded almost instantly whenever I had a thought or suggestion. Would absolutely recommend him and I would certainly work with him again." "Great work and very stylish designs. Super responsive and absolute pleasure to work with. Thank you"
"Felix did an amazing Job. It was real pleasure working with him. Even challenging tasks were fulfilled fast and precisely. I can thoroughly recommend him." "Felix did another wonderful job for me. He was very prompt and attentive with all changes. Understood my vision and produced some very professional and classy marketing pieces for me. I highly recommend him, unreal quality for the price you pay. ..."
"I gave Felix some challenging tasks and changed the project 1/2 way throughout. I highly recommend him. He was attentive, prompt, really does wonderful work and worth every penny and more. You can trust his quality of work promptness and professional..."
"Felix has been amazing and of great help.Immediately catching everything we wanted with our stationary from the brief like no other designer that entered the contest. Responding to all requested amendments in no time, he was very easy to work with. It ..."
"Felix SH did a fantastic job on the cards presenting a layout that was striking as well as useful. The use of our logo and colours was perfect. Communication was quick and directions accurately followed. 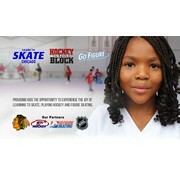 The final product was exactly what we were lookin..."
"This designer is extremely responsive and talented. My directions were accurately followed from the beginning, diligently worked on all the design changes (adding my picture after I submitted the brief) and quickly responded to my requests for minor twe..."
" Very creative and well suited for this industry. Worked extremely well with the information i provided. Highly recommended. Do not say yes to other work until the quality of this work is witnessed." "Felix designed me a beautiful business card. His design was completely original and different from any other submissions in my contest. He was by far the best about communication and got back to me as soon as I messaged him. 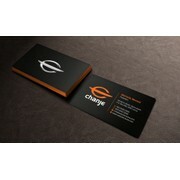 I would highly recommend ..."
"Business cards created with brilliance. Great work"
"Felix was wonderful to work with. He worked very, very well with feedback and truly appreciated it and then used it to provide creative iterations. I earnestly recommend him. We are quite pleased with where we landed and it took a high number of iterati..."